Peugeot once again gave us a small hatchback worthy of their legendary ‘GTi’ badge a couple of years ago, in the shape of the 208 GTi. It’s no secret that hot hatches aren’t what they used to be, though, thanks to weighty safety features and a general increase for more creature comforts making them more rounded, generally softer. 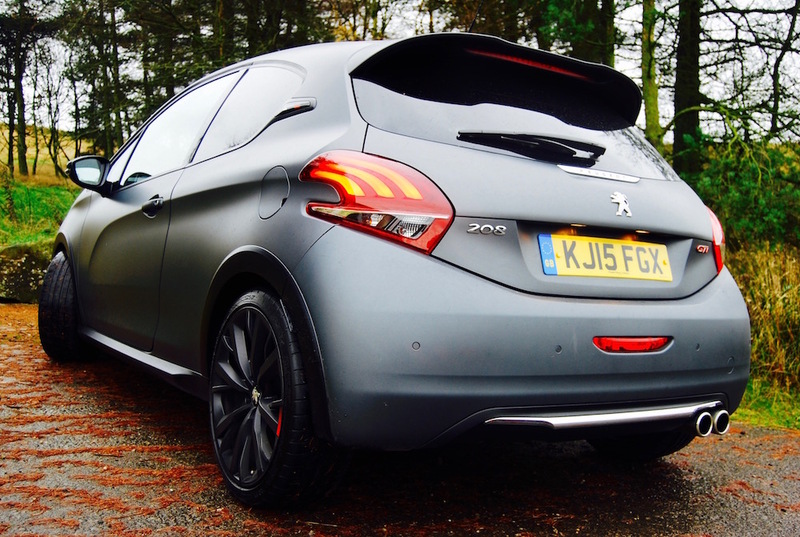 What we have here, then, is the Peugeot Sport 208 GTi (208 GTi by Peugeot Sport, actually, but it’s a bit of a mouthful), and it’s been lowered, sharpened and adorned with some new shiny red bits. Gotta love those red bits. Under the bonnet is the same 1.6l, turbocharged THP unit we’re all familiar with, producing 208bhp and 300Nm torque. This is all fed to the front wheels via the same 6-speed manual ‘box as the ‘normal’ GTi, meaning 0-62mph comes up in 6.5s………….the same as the, ahem, 208 GTi. So, what is new? (apart from those lovely red bits, obviously). Well, it’s been lowered by 10mm, its tracks have been widened by 6mm front and rear, and in-between that engine and ‘box there’s the Torsen limited slip differential from the RCZ R. Throw into the mix some super-sticky Michelin Pilot Super Sport rubber and what have you got? A new driving experience altogether, that’s what. Warning: Peugeot/Big-Cat analogy coming up. 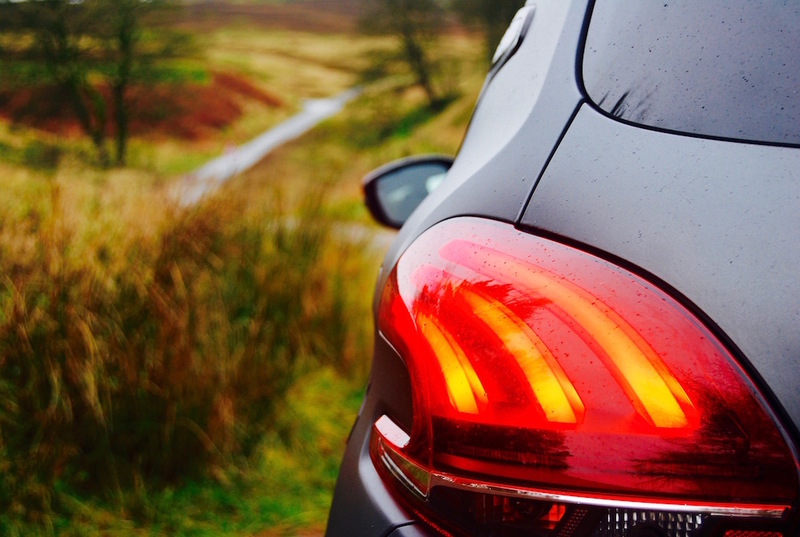 With its lower, widened stance and black 18” wheels, the 208 GTi by Peugeot Sport smacks of a cheetah stalking its prey in the long-grass (there you go), doing its utmost to hug the ground whilst always being ready to go. And this analogy continues in terms of responsiveness, reacting to every minute turn of that minute steering wheel in a fraction of a heartbeat as the clever diff does its stuff, meaning you can turn the power back on without unwelcome understeer totally ruining the party. 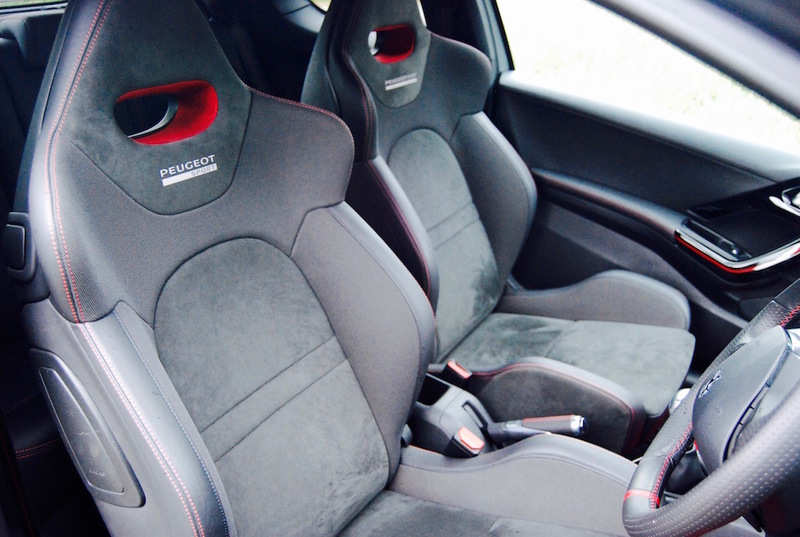 That lowered centre of gravity and some love-handle-hugging sports seats inspire confidence in the 208 GTi by Peugeot Sport’s abilities, to the point that it really does seem lighter, more track-focussed even. Yes, it’s a bit twitchy in non-pants-on-fire driving mode and that improved handling does make for a stiffer ride over speed-humps, but there’s never that cacophony of a cash-tin full of copper being dropped that so often comes with your more rigid models as they negotiate pot-holes. 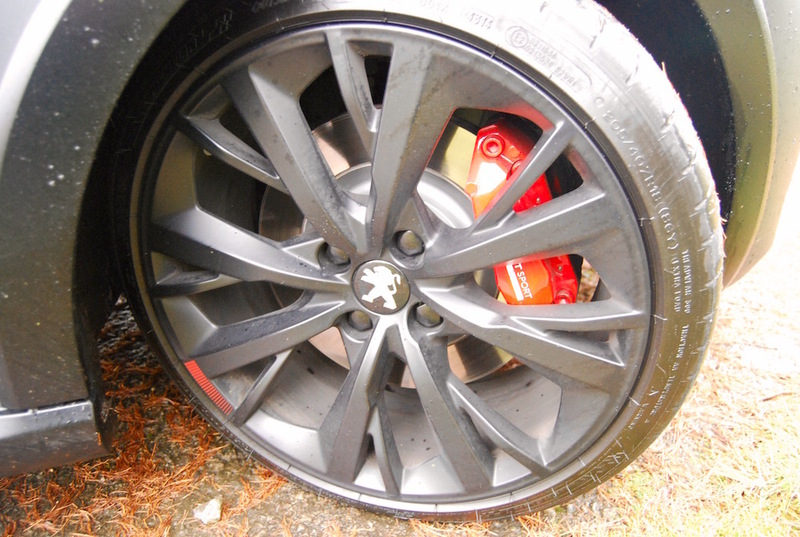 Peugeot have also included some pretty beefy looking four-pot Brembo front brakes (red) with 323mm diameter discs. 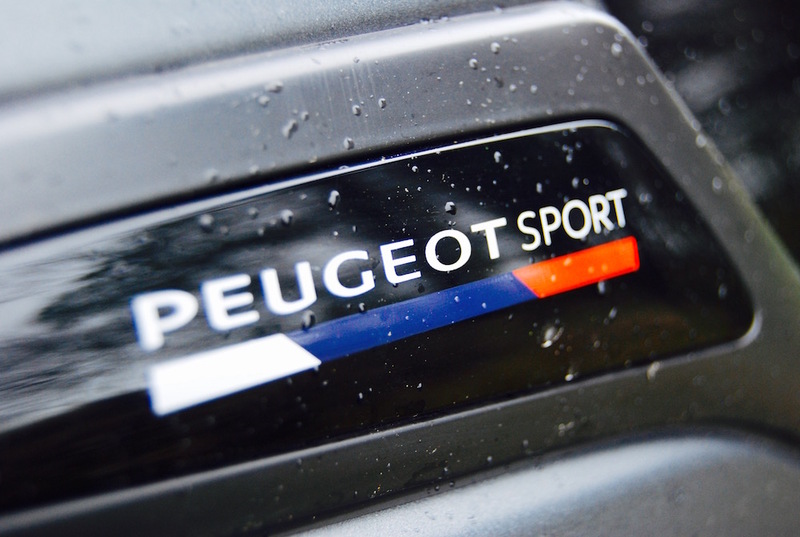 Not because the 208 GTi by Peugeot Sport is any more powerful than the standard 208 GTi, as we’ve already established, but so that braking can be left later with less fear of fade. 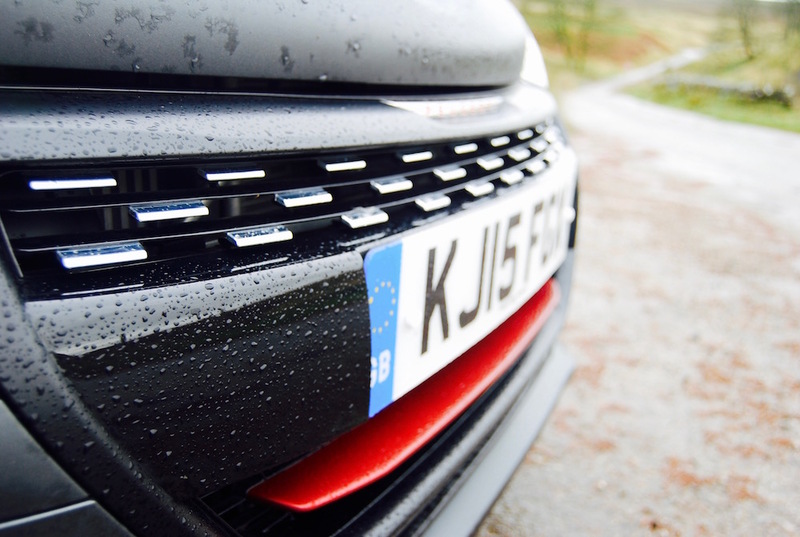 So, it’s more fun, quicker to react, it stops more efficiently than the standard car, is just as economical (52.3mpg combined & 125g/km CO2), and it has many red bits (even half a paint-job if you want), all for just £2,850 more than the 208 GTi. It’s surely perfect, then? Not quite. You see, it’s just as thrifty as the standard car, because it shares exactly the same engine and gearbox; nothing’s been changed about it. Diddly-squat. Zip. For that extra money, I’d want a modicum of extra power and throttle response and gear changes to be sharpened up in line with the rest of the car, but they’ve not been. The steering, too; with just a bit more weight gradually drip-fed in as speed increases, it would also be such a huge improvement over the usual setup that’s somewhat lifeless. Put the 208 GTi by Peugeot Sport next to the usual yardstick – the Fiesta ST and, even in top-of-the-range ST-3 guise with a Mountune pack thrown in to make performance comparable, you’ll have a quicker car and you’ll be saving £1,000+ over the Pug. The Fiesta isn’t quite as sharp or economical (on paper), and I daresay it’s not quite as special looking, but it’s a better package all round. Peugeot could, of course combat this by beefing up the power and revising the steering setup, but it’d have to be at no extra cost to keep the 208 GTi by Peugeot Sport feasible. If they did, though, that’d make it a real world-beater. 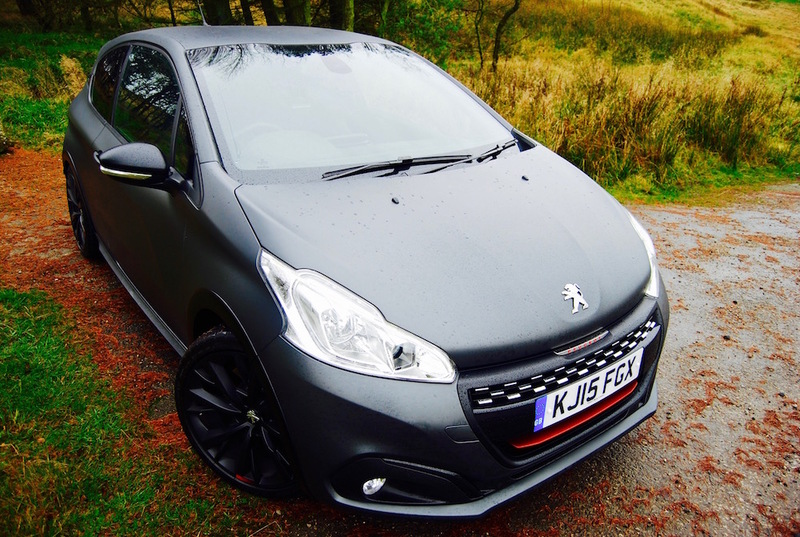 Specifications; 208 GTi by Peugeot Sport, Engine – 1.6l THP Petrol, Transmission – 6 spd manual, Layout – Front engine, FWD, Power – 208bhp, Torque – 300Nm, Emissions – 125g/km CO2, Economy – 52.3 mpg combined, Maximum Speed – 143mph, Acceleration – 6.5s 0-62mph, Price – £21,995 OTR, £22,640 as tested.